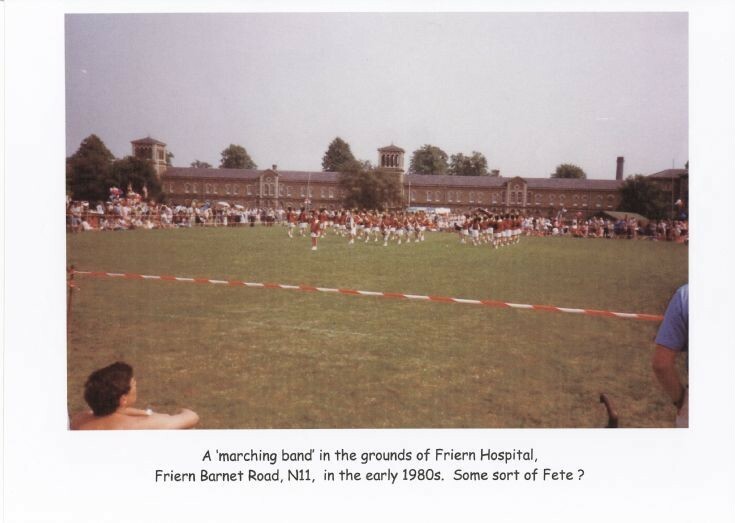 This photo examples the annual Friern Hospital Open Day. I was a volunteer at the in-house radio station, Radio Friern, during the 1980s. The event would be opened by local celebrities (Actress Maureen Lipman did so TWICE during the decade). In 1990, the Tottenham Hotspur Roadshow participated and in the same year there was a Ju-Jitsu display.